Send In the Prophets... It's Harvest Time! 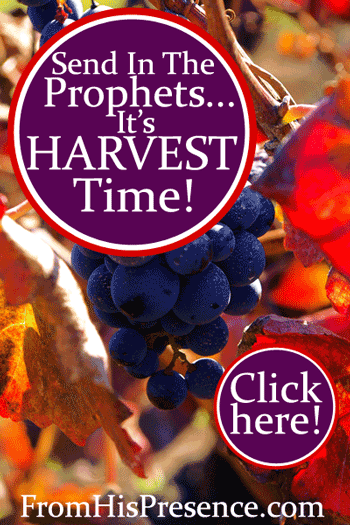 Send In the Prophets… It’s Harvest Time! I’ve been studying Mark 12, and I just realized something awesome: When harvest time comes, God sends in the prophets. I never noticed this application before, but it comes directly from Jesus, and it has HUGE implications for Christians today. A man planted a vineyard and built all the necessary stuff in it to protect it and to make wine. He leased it to some vinedressers and went away to a far country. At “vintage time,” He sent a servant to the vinedressers to get some of the vineyard’s fruit. However, instead of turning over the fruit, those vinedressers took the servant, beat him, and sent him away with nothing. The man sent more servants, but all of the servants were treated shamefully. Some of the servants were killed. Some of were beaten. The tenants threw stones at others. All of them that lived were sent away empty-handed. Finally, the man sent his beloved, only son… but the tenants killed the son so they could try to claim the inheritance for their own. Jesus ended the story by saying that the man would come and destroy the tenants and give the vineyard to others. The man represents God the Father. The vineyard represents the covenant promises: Kingdom power and intimacy with God. The wicked tenants represent the Jewish people of their day and of centuries prior to the time of Christ. The servants that the Father sent represented the prophets God had sent in centuries past. Ultimately, since the Jews rejected God, God offered His salvation to the Gentile (non-Jewish) people so that all who believe on Jesus could be saved. In this story, however, Jesus is also reminding us how the Jewish people treated the prophets over the centuries, and predicting how they would ultimately treat Him (Jesus). Throughout history, God had sent prophet after prophet to His people the Jews. Isaiah, Jeremiah, Elijah, Elisha, Hosea, and Ezekiel are just a few of the prophets God sent. And you know what? The Jews treated those prophets shamefully and often killed them. But that’s not the point I want to make in this blog post. The point that I want to make today is: Jesus said point-blank that God sent His servants the prophets in at harvest time (vintage time), in order to receive the harvest. 1. Because now is the time for an end-time harvest. When God the Father knew it was time for a harvest in Jesus’ parable above, He sent in the prophets. Well, now is harvest time. Many people are believing God for a billion souls to come to Jesus in these last days, and revival fires are beginning to burn all over the world. I believe that’s why we’re seeing such activation in prophetic ministry right now. That’s why God is burdening so many to pray and learn to hear God. That’s why so many pastors are laboring to build stable, reliable, safe prophetic ministries (full of steady, reliable, safe prophetic people) in their churches. That’s why we’re suddenly seeing God bring to the foreground many people whom He has hidden until now. For years, the Holy Spirit has been building the character of Christ in people in secret, and teaching them to hear His voice. Now, He is bringing those people from the back row to the front row–people who are safe; who walk in both power and purity; who will hear what He says and speak only that. Why? Because it’s all about souls. It’s all about the end-time harvest. God is sending in the prophets to bring Himself the harvest. 2. Because prophecy is a sign that God uses to convict unbelievers. God wanted to reap His harvest in His people, the Jews, but they didn’t believe in Him. So He sent the prophets with His right-now word to convict them. But if all prophesy, and an unbeliever or an uninformed person comes in, he is convinced by all, he is convicted by all. And thus the secrets of his heart are revealed; and so, falling down on face, he will worship God and report that God is truly among you” (emphasis mine). Basically, Paul is saying in this passage that when an unbeliever comes into a church and hears people speaking in tongues, he’s going to think you’re wacko. 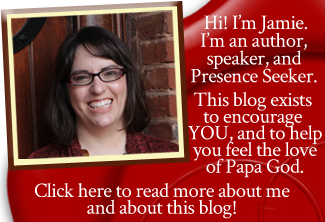 At that point, the unbeliever has to admit that God is the one that revealed his secrets. No one else could have known these things about him! … and he will admit that God is among these people. That’s pretty heavy. ALL of God’s people are supposed to prophesy. When they do, God uses all the prophetic words that come forth to convict the unbeliever of his sin. That’s wild stuff, and it confirms that the prophets are sent to help bring in the harvest. Prophecy is a sign that convicts unbelievers; that’s why it’s SO essential in our churches. 3. Because it’s time for the outpouring of the Holy Spirit. For what purpose did they harvest grapes in the Bible? To make wine. And what is one of the symbols of the Holy Spirit in the Bible? WINE. In Jesus’ story above, God sent His prophets in specifically at VINTAGE TIME, which means time to harvest grapes and make wine. I believe that this means that when God sends in the prophets, it’s time for an outpouring of the Holy Spirit. Only the Holy Spirit can turn the tide of evil that threatens to overrun the earth. Only the Holy Spirit can turn the hearts of men to Jesus. Only the Holy Spirit can compel God’s people back to their knees. It’s time. Dear God in Heaven, please, pour out Your Spirit upon all flesh! In Jesus’ teaching, the prophets came when it was time for the grapes to be harvested and the wine prepared. I believe this means that if we want the outpouring of the Holy Spirit–the wine–we must embrace the Holy Spirit of Prophecy as He speaks through His people. It’s harvest time. God is sending in the prophets as He prepares the end-time harvest of souls and the outpouring of the Holy Spirit. Image courtesy of AMA90 on FreeImages.com. Thank you so much, Amanda! So glad you were encouraged!